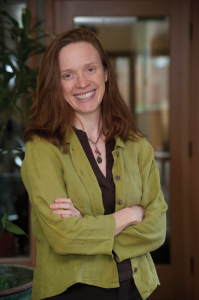 Dr. Brigid Crowe is a Naturopathic Doctor practicing at Hidden Springs Wellness Center in Ashland. I provide naturopathic primary care for people of all ages whether their condition is acute, chronic, or if they are doing preventative maintenance. I am committed to helping my patients maintain robust health at each stage of their lives. While I consider myself a well-rounded family doctor, I am especially passionate about pediatrics, women’s health, environmental medicine and detoxification. I see my patients as the real healers. My job is to facilitate their healing process. How do your patients find you? Most of my patients arrive through word-of-mouth referrals – friends and family members of current patients. Others have been using Hidden Springs services and choose me when they need a primary care physician. Still other patients find me through my website www.wildfernnaturalhealth.com or follow my practice on Facebook. A few even meet me in line at the grocery store or at the playground. Getting tangible results. Seeing my patients improving their health through what we do together… that’s the real reward of this profession. I also love educating patients about how naturopathic medicine applies to their specific conditions, and how they can achieve and sustain optimal health. Developing a robust health foundation is what enables them to go forward with confidence to live their best life, in every area. I love being part of that process. Well, I grew up in a potato farming community in Northern Maine. I studied chemical engineering at both the University of Maine & Tulane University in New Orleans, then worked as a chemical and/or environmental engineer. I developed a great understanding in this field and was successful at it, but it was never inspiring to me. How did you get started with naturopathic medicine? I’ve always been interested in medicine, but the conventional paradigm never felt like the right fit for me and I really had no idea that there even were other options. Then, after working as a chemical engineer for over a decade, I faced health challenges of my own and that led me to seek out alternative therapies. I fell in love with how simple, intuitive and effective it is and adopted naturopathy as a way of life. The incredible results I got inspired me to become a naturopathic physician so I could share this art with others. Why do most people come to you for medical care? Some are like I was, struggling with their health, not getting their needs met by conventional medicine, and desperate for another option. Some just intuitively know that there is a more natural way to heal and maintain health, and they become curious about naturopathic medicine. Some are simply looking for an herbal replacement for or addition to a pharmaceutical product. Others want to complement their conventional care with naturopathic therapies including nutrition, homeopathy, botanical medicine, etc. Many are already in fantastic health and come to learn more about optimizing and sustaining lifelong wellness. Is there any “secret” to your success with people? Yes. I’ve found that being authentic, integrous, and light-hearted works with everyone. I meet each patient right where they are and partner with them to create treatment plans that are realistic for their lifestyle and unique wellness goals. This is very easy when you genuinely care about each patient and their well-being. What do your clients need to do for themselves to get the best results from your work? Just making that initial appointment is the start. This lets us take a first step in co-creating a commitment to their improved health. Being open to learning a different approach to wellness is, of course, essential. Being willing to take responsibility for personal health and complying with recommended treatments… that’s what gets the real results. And I encourage all my patients to communicate what is and isn’t working for them at each stage of the process. What’s the most exciting thing going on for you these days? Besides my practice? That’s easy! My life is filled with wonder, excitement and joy because I have an almost two-year-old son! That means lots of giggling plus a few tantrums here and there – from both of us! Regardless of being a busy doctor and a mom, I’m really enjoying the simplicity of our lives. Thankfully, my husband Eliot – who works as a program manager for non-profit energy efficiency company in Portland – can work from our home here. Do you have any other highlight in your life? I’ve been a fiddle player most of my life and spent many Friday nights at American legions, VFW halls, Knights of Columbus halls, picking up fiddle tunes from elders in the different regions I’ve lived…. Irish music from my family. Quebecois fiddling in Northern Maine. Cajun music in Louisiana. I fell in love with Bluegrass Music in Missouri and was fortunate enough to play in a bluegrass band here in Southern Oregon for a few years with some of my very favorite people. I just love being here in Ashland in this unique pocket of consciousness where I can live slowly with my family and practice yoga, play my fiddle, and hike up every hill I find. I look forward to meeting more of my neighbors at the Rogue Valley Growers Market where I will have a table on June 18th and July 16th. We are a group of doctors, therapists, coaches and wellness practitioners, dedicated to assisting and empowering your wellbeing. Our purpose is to facilitate personal transformation and enhanced wellbeing on all levels – physical, emotional, mental, and spiritual. Our intention is to foster personal, community and global wellness by providing a safe and supportive environment for accessing and expressing our untapped inner resources. Why is training my body to burn fat a good thing to do? The world has changed, have you changed with it?